LOS BAÑOS, Philippines—Of 200 joint rice research projects between India and the International Rice Research Institute (IRRI), 30 are being conducted in the state of Odisha. Recently, the state’s Department of Agriculture and Farmers Empowerment (DAFE) has approved the implementation of new 5-year effort that aims to improve the productivity of the state’s rice-based cropping systems and the incomes of its farmers. The collaborative project between DAFE and IRRI was signed in September. In connection with the new project, Manoj Ahuja, principal secretary of DAFE, Vice Chancellor Surendranath Pasupalak of Orissa University of Agriculture and Technology, and Commissioner and Director Pramod Kumar Meherda of the Directorate of Agriculture and Food Production visited IRRI on 27-28 October. They met with IRRI scientists and toured the institute’s various facilities to observe ongoing research activities and technologies. “We are interested in everything you have to offer,” said Secretary Ahuja. 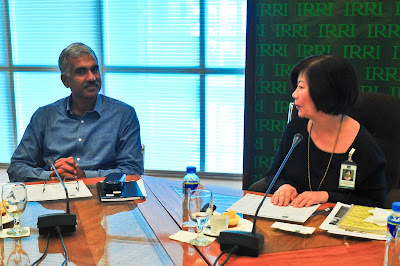 During a briefing, they received an overview of some of IRRI’s projects in India. Among the projects discussed was the Stress-Tolerant Rice for Africa and South Asia (STRASA), which focuses on accelerating the dissemination of improved rice varieties in the region. The Secretary and his associates were also updated on IRRI’s collaboration with the Indian Council of Agricultural Research (ICAR) in developing new rice varieties for the region using the latest breeding technologies. Dr. Kshirod Jena, IRRI principal scientist, presented results of the collaborative breeding activities between ICAR and the institute. 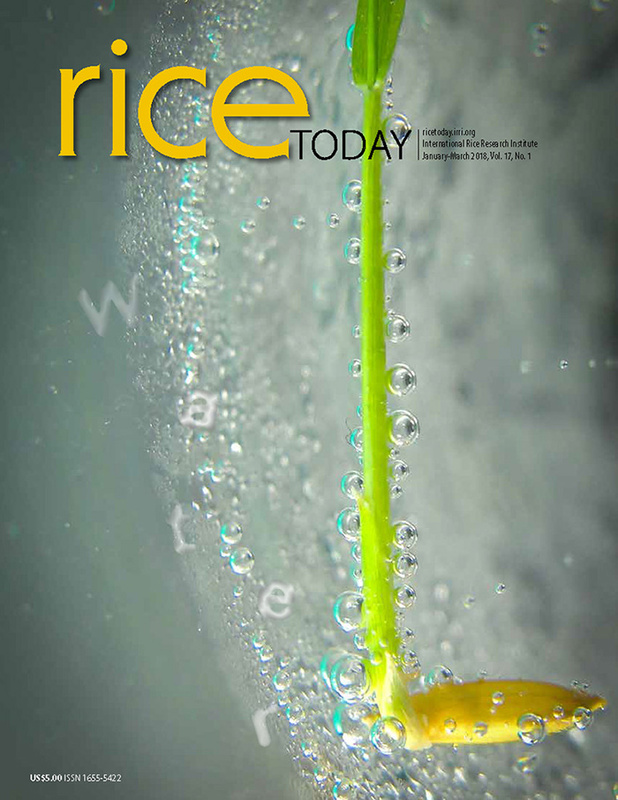 He pointed out that they are upgrading popular Indian rice varieties by incorporating rice genes responsible for high yield, stronger resistances to pests and diseases, and tolerances of environmental stresses.